Exhibits illustrate the history of the southern Eastern Shore from the 16th through 20th centuries. 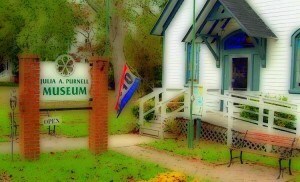 Also displayed Julia Purnell's needle art pictures. Apr-Oct: Tues-Sat, 10am-4pm; Sun, 1-4pm.